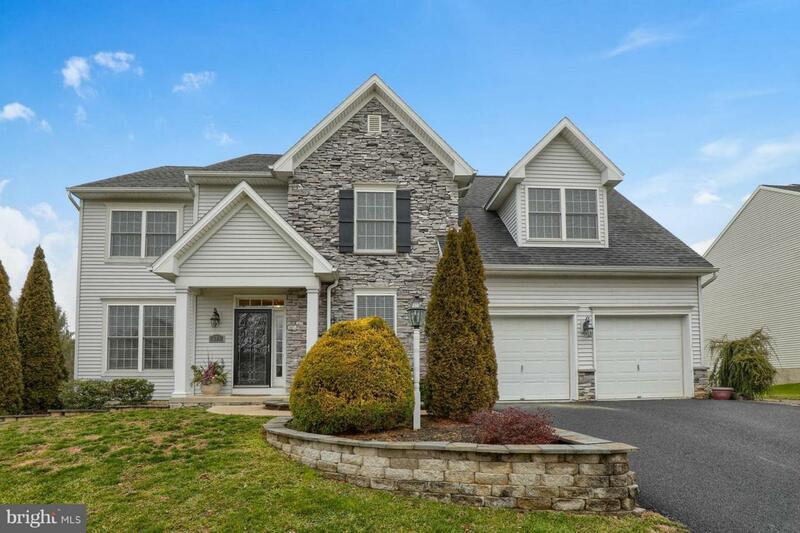 This stunning Manheim Township Colonial boasts 3 bedrooms with the possibility of a 4th bedroom, 2.5 baths, and 2710 square feet. The interior features an open floor plan, open archways, high ceilings, and crown molding. The fully equipped kitchen is welcoming with eye catching cabinetry and Samsung stainless steel appliances, as well as a center island with breakfast nook. The kitchen also comes with a built-in desk and provides easy access to the deck through a sliding door. Just off the kitchen is a spacious family room that is highlighted by a cozy gas fireplace. 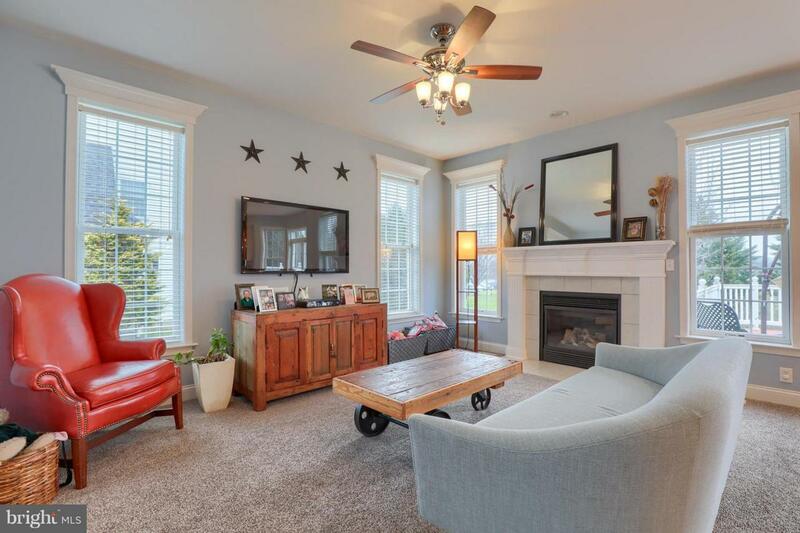 The living room is relaxing with hardwood flooring and crown molding. For more formal occasions, the formal dining room overlooks the front yard and highlights crown molding and has built-in speakers. The upper level contains 3 bedrooms and 2 full baths with the option for a 4th bedroom. 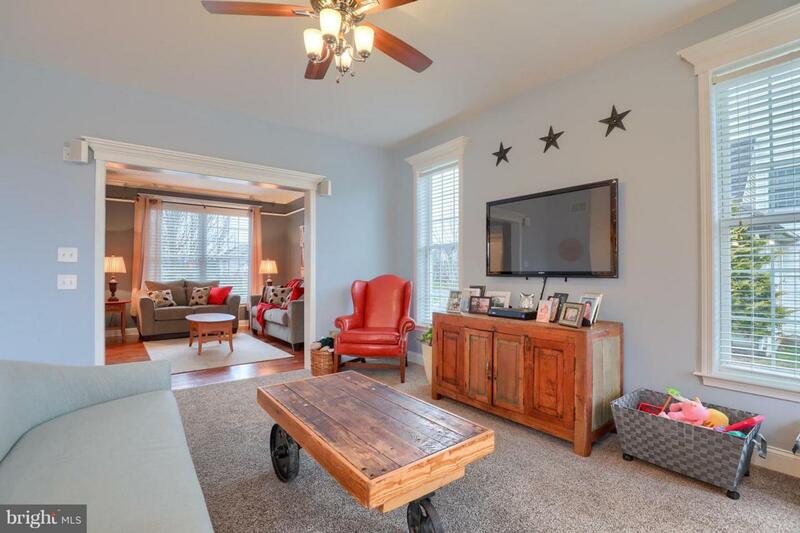 An oversized owner's suite boasts hardwood floors, crown molding, and a walk-in closet. Currently the 4th bedroom is set up as a sitting room in the owner's suite with large built-in display and second walk-in closet, but this sitting room could be converted into a private 4th bedroom overlooking the front of the property or even a nursery. An unfinished lower level is spacious and is just waiting to be finished with endless possibilities of a family room, exercise area, playroom, or craft room. The exterior shines with pristine landscaping, a multi-tier deck, and an attached 2-car garage. 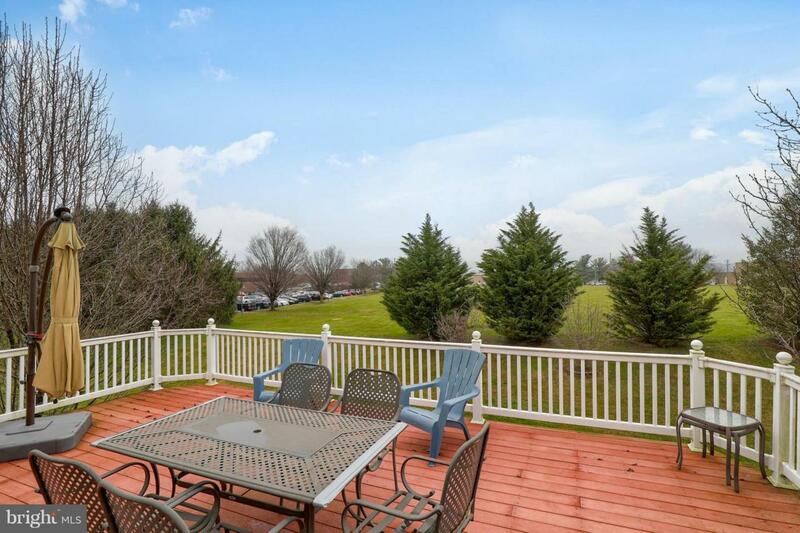 An excellent location on a picturesque street, close to Lititz, Lancaster City, and the Shoppes at Belmont.